"I came to this town to kill my brother. Instead, I find myself weeping over his grave." Determined to put an end to this murderous rampage, Eldrid pursues the nameless thing in a bitter race from one shattered town to the next. As Eldrid draws ever closer to his goal, the ghosts of his past loom large. Can he overcome the pain and regret of his memories and face this most terrible foe? Or will he succumb to both and be lost to death or madness? Includes a special preview of Alan MacRaffen's science fiction novel: Carnival of Time. 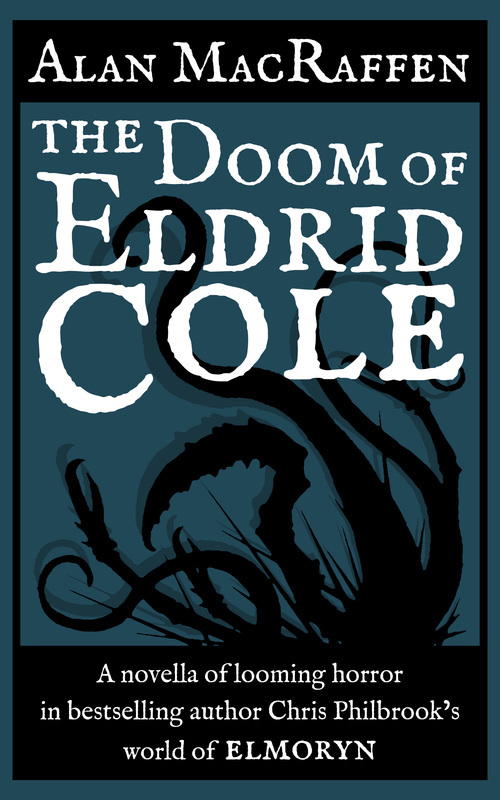 The Doom of Eldrid Cole is set in author Chris Philbrook's world of Elmoryn: a vast dark fantasy playground where the spirits are ever present, and the dead ever hungry. Click below to order copies now or get a free sneak peek at the beginning of The Doom of Eldrid Cole! Support your Local Bookstore! Many local booksellers are willing to order copies of Alan MacRaffen's books upon request. Ask them about ordering a copy today. Don't have a Kindle? Visit Amazon.com to download a Free Kindle Reading App for your tablet, smartphone or computer. Hi! I love hearing from people about my work. Whether you're a fan with a question or request, a critic with an important issue, or even if you're just lost and you want to know what the heck you've stumbled into here, send me a message! Use whatever name you'd like me to address you by.